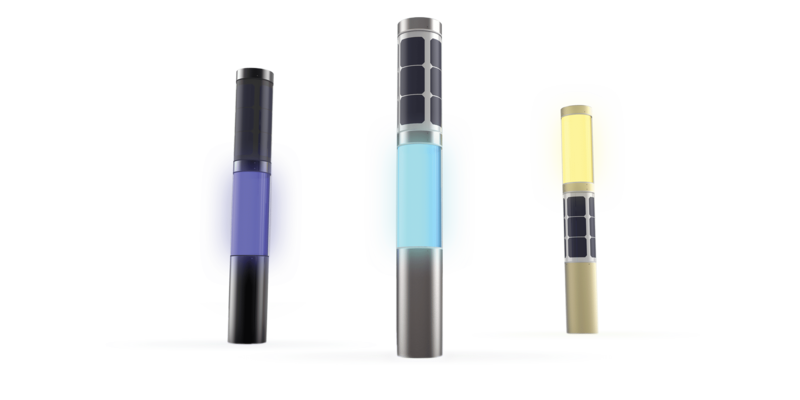 The NxT solar bollard offers a rainbow palette of lighting options for private and public terrains. This solar-powered outdoor lamp operates completely wirelessly, eliminating the need to dig across your property to install an electrical grid. Simply plug the solar bollard in the soil and wait for the sun to go down for the RGBW LED light to turn on. Thus, the NxT is easy to install and does not require complicated instructions. You can control any group of lights or individual NxT solar bollards from your smartphone, or even set up a light show through the DMX interface. The NxT enables you to choose your own lighting scheme, suitable for every situation. This will result in light that will impress you and your guests. With NxT, you redirect sunlight to suit your lighting plan. For more information, visit NxT Solar Outdoor Lighting. The NxT solar bollard can light your terrain in any color of the rainbow, this will allow you to influence the desired sphere. Decorate your garden or driveway with LED lighting, easily controlled from your smartphone. Plug your NxT in the soil and wait for the sun to go down for it to turn on. Cabling is not required as the NxT is fully wireless. Set up a lighting plan or show from anywhere you want. Sunlight is the lifeblood of the NxT. It is designed to last, environmental friendly and recyclable. NxT is the ideal sustainable outdoor lighting choice.